Whenever you are organizing an activity, such as a golf tournament, it is important to make the most of the marketing advantages of the event for your sponsors. 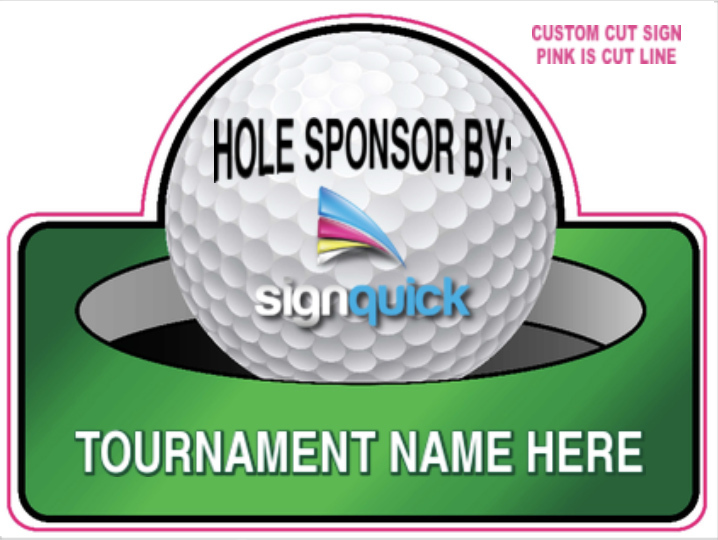 With the use of golf signs, especially the useful size of 18"x24", a lot of information could be shown to not only promote the sponsors for different activities but can also be utilized as information boards. Using an 18"x24" size board will offer a great visible impact to those who go to any event, and with customized designed signs sized 18"x24", getting a message across is a quite easy process. 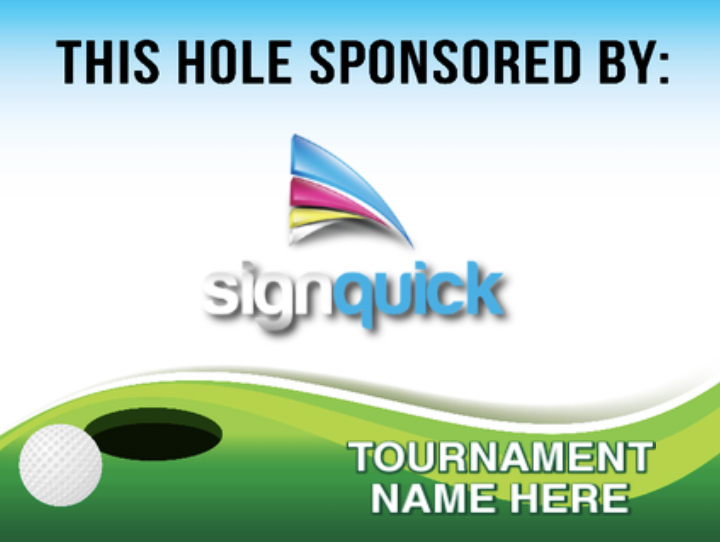 Golf Signs could be used to offer those attending the tournament information about numerous sponsors across the event. 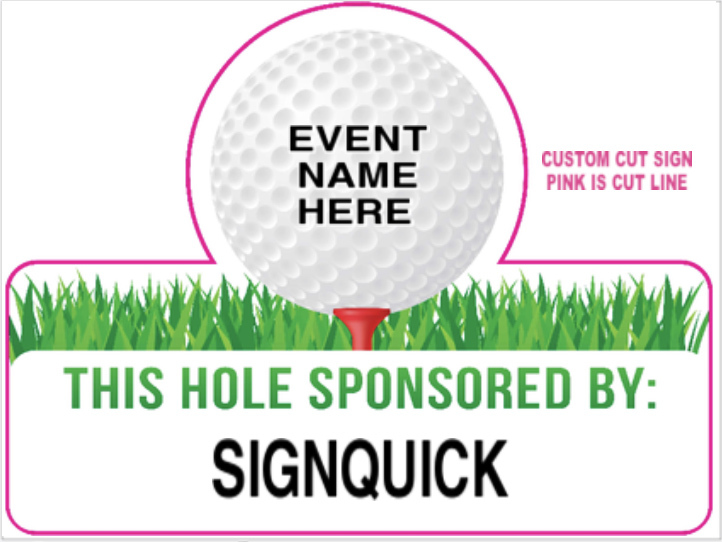 Golf Tournament Signs, in size 18x24, detailing the different sponsors of each specific hole on the golf course could be placed right next to where golfers will likely tee-off. This not only ensures the event look very professional it of course provides the promotional benefit to the sponsor on their own. Anyone who is planning a sponsorship event will be able to choose varieties of layouts when they are making 18x24 signs and these signs could be used previously created art work or entirely new art work which is probably more relevant to the sponsor. 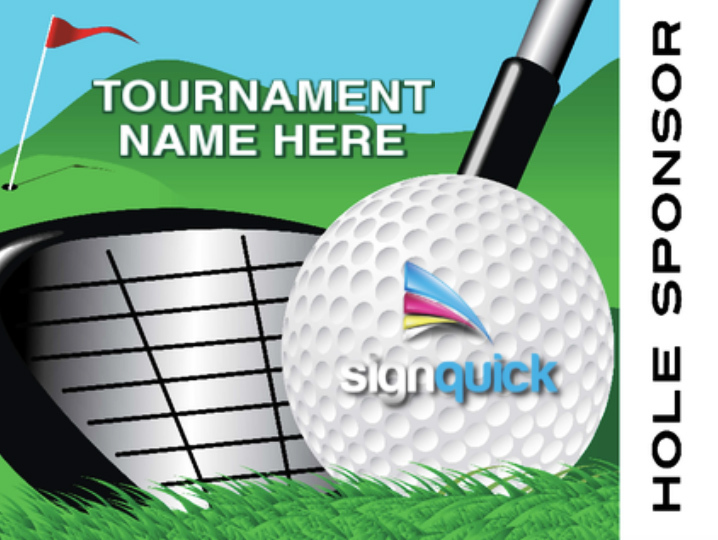 Our Golf Signs are photographic quality and manufactured in house by our company. That means no middle man, you're buying straight from the manufacturer which translates to lower costs! 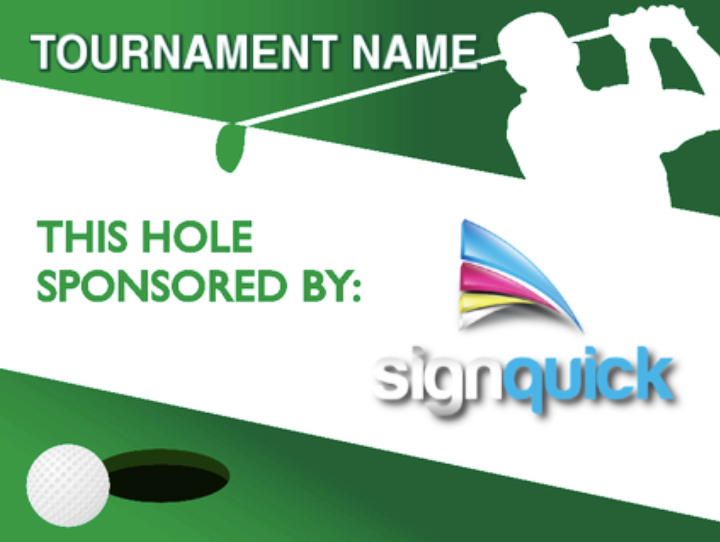 Choose a Golf Sign template and give us a call to place your order!